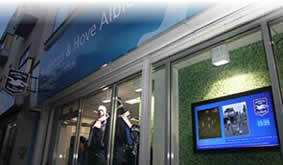 Задача: To provide the Brighton and Hove Albion football club (BHAFC) store with a permanent window display to help capture the attention of the passing public and a POP display to further promote the clubs merchandise, games schedule and season tickets once people enter the shop. 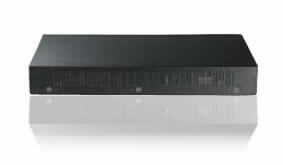 Решение: 2x Optoma D5000 advanced media players and 2x third party LCD screens were installed. A full software suite upgrade was included as standard with no ongoing license subscription fees, no user license fees and no site license fees.